Covering 210 km on foot is no walk in the park. 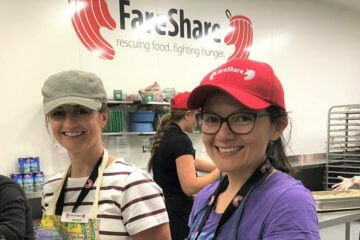 But Daniel Sollorz rose to the challenge for FareShare after completing a shift as a corporate volunteer in our kitchen. 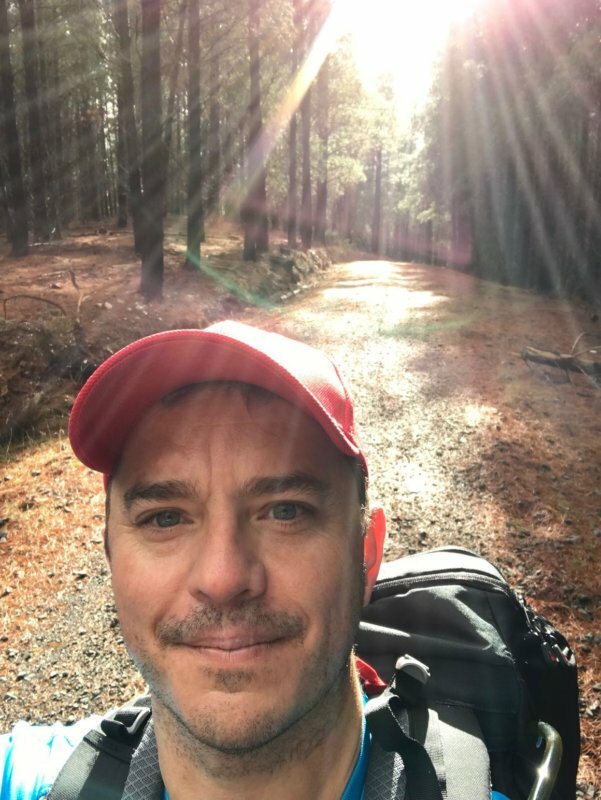 Moved by the experience of cooking meals for people in need, he decided to take things a big step further by walking Victoria’s Goldfields Track from Ballarat to Bendigo in mid-winter. Daniel, a director with NAB’s Corporate & Institutional Banking division, says he hoped a few days of endurance would raise $3000. In the end, his clients, colleagues, friends and family contributed more than $8,000 – beyond his wildest dreams. One of his clients even matched the donations with a separate gift to FareShare. Daniel trained for two months before the walk but still found the long distances tough on his feet. “The ground was really hard and rocky. My feet took a real pounding,” he said. The next day Daniel was grateful to be joined by a friend on a mountain bike. They set out from Daylesford and within an hour it was bucketing. The two ploughed on with no relief all day. 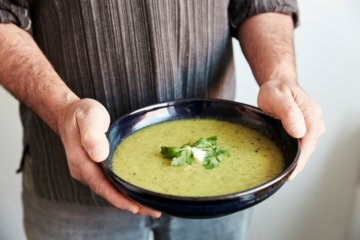 “When we arrived in Castlemaine for the night we looked like a pair of “soaked cats,” said Daniel. Daniel was surprised by the generosity of his sponsors, including a few friends who contributed despite struggling financially. “All I had to do was put one foot in front of the other – it’s others who are doing it tough,” he said. Daniel used GiveNow’s ‘crowdraise’ platform to drum up support and promoted the walk through his professional and personal networks. The result was incredible. 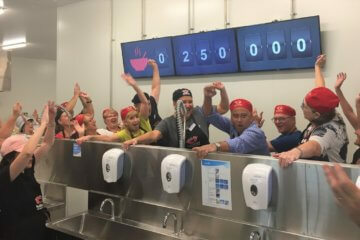 All up “Daniel’s Little Walk” raised $8,175 – enough for us to cook 10,900 meals. A tremendous contribution from an individual and even more meaningful with the matching gift from a generous client. If you’re inspired by Daniel’s walk, you may like to take part in the 20km or 50km A2 Upstream Challenge on Saturday, November 10. FareShare is one of the charity partners and we would love you to walk for us.